Nandi doesn’t want to go to sleep. No way! She wants to go on an adventure. Join Nandi as she lets her imagination run wild and free. 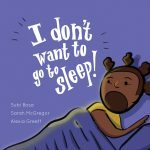 Created at Book Dash Jozi on 27 October 2018 by Sarah McGregor (writer), Subi Bosa (illustrator) and Alexia Greef (designer). 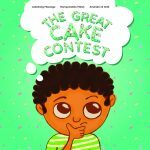 Who will win the Great Cake Contest? A sweet story about a little boy who wants to make the best cake. Created at Book Dash Cape Town on 27 October 2018 by Lebohang Masango (writer), Nompumelelo Mdluli (illustrator) and Amanda van der Walt (designer). Edited by Anna Stroud.